Chateau Fontbonne is located in Targon, south west of Bordeaux, about 20 kilometres from Saint Emilion. The estate is 15 hectares mainly of clay and limestone soils. Chateau Fontbonne has been in the Reiner family for over three generations. It was bought by the great uncle of Philippe Reiner, the current owner in 1939. At the time the vineyard was surrounded by woods and meadows, which allowed to feed the oxen with which the property was worked. The death of the great-uncle of Mr. Reiner, the Fontbonne Vineyards were managed by the mother of Philip Renier until 1993, when Philip took over the property. 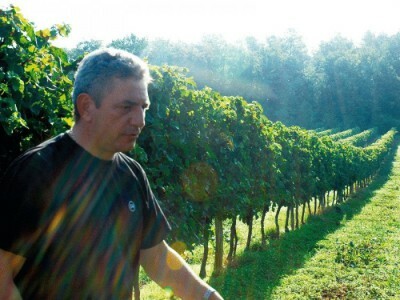 Since then Philip has modernised the winery and redeveloped the vineyards. In 1999, he launched the cuvée prestige choice of plots: a selection of old vines, with stringent yield controls, controlled fermentation and ageing in oak barrels for a period of 12 months. 2002 : Bronze medal in Aquitaine wine for the 2001 vintage. 2003 : Gold medal at the Aquitaine wine for the 2002 vintage. Cuvée Mariemillésime 2000 is retained on the Gilbert and Gaillard 2004 guide. 2006 : The classic 2003 vintage Cuvée is retained on the Gilbert and Gaillard 2006 guide. 2007 : Silver medal in Aquitaine wine for the vintage 2006. 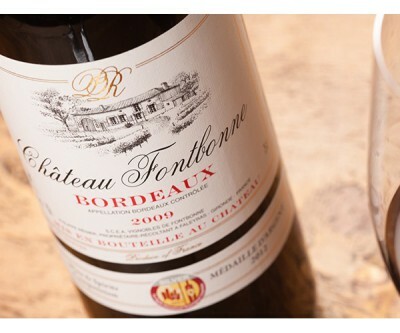 2009 : Château Fontbonne Fontbonne 2005 and the Edouard de Cuvée 2006 is retained on the Gilbert and Gaillard guide. 2010 : Bronze medal in Aquitaine wine for the 2009 vintage. 2012: Silver medal at Los Angeles competition for the Château Fontbonne, 2009.